Home Breaking News Politics BREAKING NEWS: General Ibrahim Babangida Never Endorsed President Buhari’s 2nd Term Bid. BREAKING NEWS: General Ibrahim Babangida Never Endorsed President Buhari’s 2nd Term Bid. 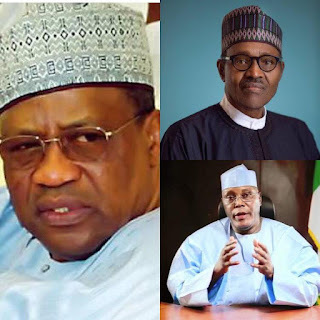 This is to notify the general public that the statement purportedly credited to former Military President, General Ibrahim Babangida to the effect of supporting the candidature of President Buhari till 2023 is completely false. A message from his Media Office states that this is another FAKE NEWS in its entirety as General Babangida is an elder statesman who understands the essence of good governance, presently out of the country and has not mandated anyone to speak on his behalf with respect to the 2019 elections. He spoke elaborately with Radio Germany on the need for peaceful elections but did not at any time endorse President Buhari for the 2019 elections. The general public is hereby invited to discontenance such FAKE NEWS as the figment of the imagination of those who are desperate to mislead the public. It is also very interesting to note that while government on the one hand would stop at nothing to demonize IBB, cultivating his support for re-election will amount to sheer contradiction.